Have you heard about the WEAR IT Florida Campaign? Unfortunately, our state holds the distinction of being the national leader in annual boating fatalities. A high percentage of these involve boaters who fall overboard and drown. The reality is that these deaths can be easily prevented by wearing a lifejacket, as explained on the Florida Fish and Wildlife Conservation Commission website. 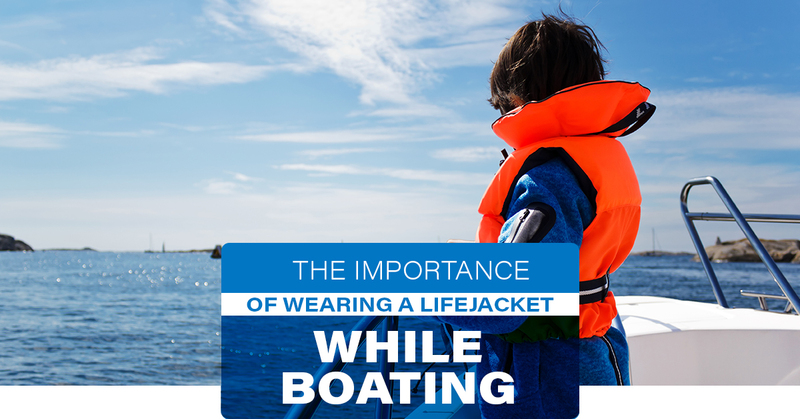 In this blog post, we’ll take some time to explain the necessity of wearing a lifejacket regularly, as well as some common misconceptions of folks in this regard. Great swimmers don’t need a lifejacket – Do you consider yourself an above average swimmer? Even if that’s the case, there’s no way to prepare yourself to be thrown overboard and into a deep part of the water. Boasting safety statistics show that over half of the state’s boating fatalities each year are due to boaters entering the water unprepared. Lifejackets are intended for kids only – You’re out on the water every week with friends and family. In all of your years as an experienced boater, you’ve never come close to falling overboard. However, experience and age don’t exclude you from a potentially dangerous situation on the water. On average, about one-half to two-thirds of the state’s annual boating fatalities are men over the age of 30 with over 100 hours of experience on the water. Lifejackets are bulky and uncomfortable – You’d be surprised at how many boaters don’t wear lifejackets because they find them to be uncomfortable. However, today’s lifejackets are much lighter and less constrictive than the ones from years ago. No one notices if you wear a lifejacket or not – The reality is that everyone will notice whether or not you wear a lifejacket, especially on your boat. It’s imperative that you set a good example by practicing safe boating habits, which includes wearing a lifejacket while on the water. If you have young passengers on the boat, they will be looking up to you to demonstrate the importance of wearing a lifejacket. Now that you understand the significance of lifejackets, let’s discuss how Marine Customs can further add to the safety of your boat. 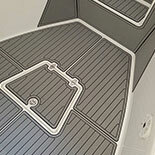 Our boat flooring experts can provide you with a non-skid decking option that’s both comfortable and durable. A simple and practical SeaDek alternative, each of our solutions provides maximum wet/dry traction. What does that mean for you? Say goodbye to the days of stepping into your boat and risk slipping. Gone are the instances where you were legitimately concerned about the safety of your passengers while they were walking around your boat. 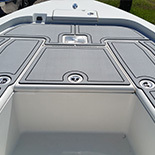 Marine Customs is proud to offer both fully customized boat floor coverings, as well as semi-custom non-skid boat covers. 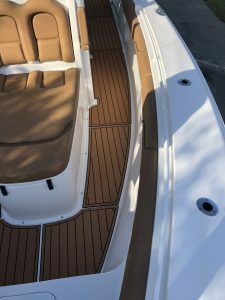 If you’ve been looking for a SeaDek type material that’s going to look incredible and last for years, be sure to check out our boat flooring process. 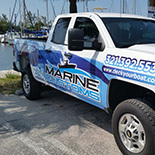 Contact us today to get started with your project to make your boat as safe as possible.